Images were focused, reduced and combined (MinMaxExAvg) using ImagesPlus. The combined image was adjusted (Levels, Curves, Color Adjustment, Cropping) in Photoshop. Noise was reduced with Grain Surgery. Vignetting was adjusted using Gradient XTerminator. 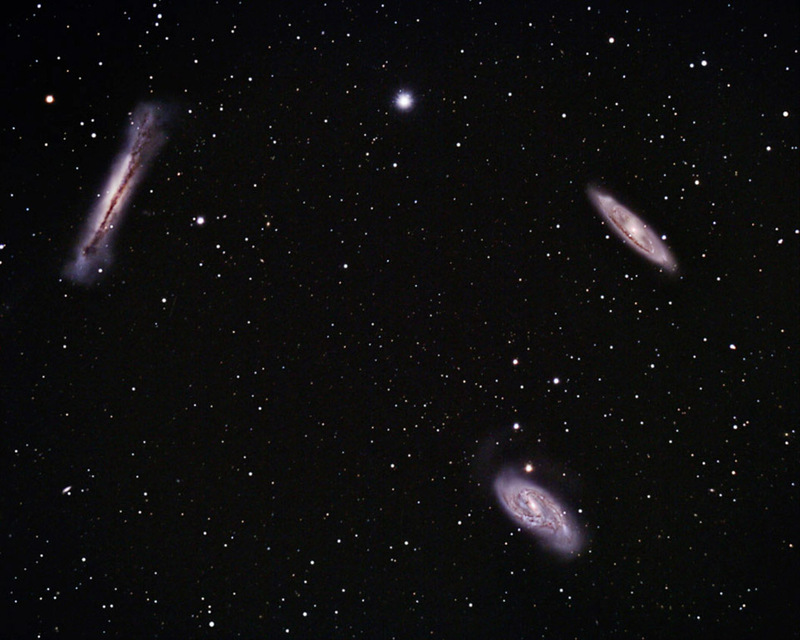 Note: Clockwise from top left, the galaxies pictured are NGC 3628, M65, & M66. Shot from my backyard observatory in southeast Minnesota.